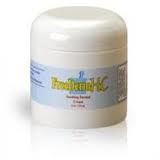 At first I was pretty nervous of buying Freederm because looking at reviews, it seemed like it would underperform. People on the internet have said that it is an expensive scam, but once my friend recommended it to me so heavily I decided to spring for it, and I am not glad that I did. It is actually not that that great at reducing the symptoms of eczema like it says that it is, and the label looks so generic you can tell that there was no effort put into formulating this. This product was marketed all over the internet as a spam campaign about a mother discovering the cure to eczema. It is advertised as being the greatest thing in the world when in fact it is the opposite of that. While I did moisturize the area that I applied it to, no matter how many times I applied it to my skin, I felt no relief, none at all. Some people even claim that it burned their skin. While this did not happen to me, knowing this makes me less inclined to ever use it again. This is a very dangerous product because it is so expensive and doesn’t help much.